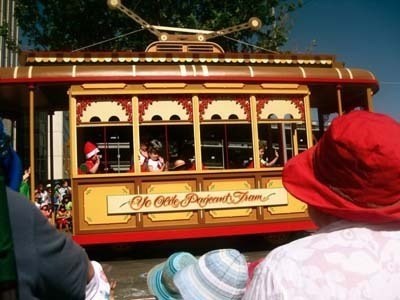 Every year Adelaide welcomes the start of the Christmas Season with the annual Credit Union Christmas Pageant. A fun time when children line the streets to watch the colourful floats, and to eagerly await the arrival of Santa Clause. 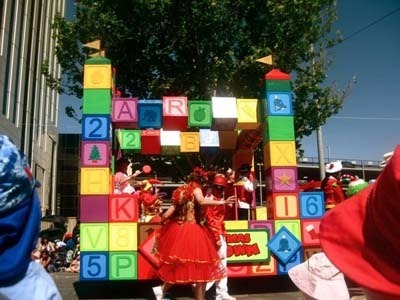 It may be just an event to signal the start of Christmas festivities, but for many children the Christmas Pageant is the happiest time of all. 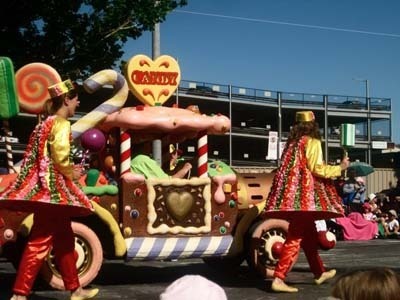 This year the floats will be making their way down Adelaide's streets on November the 12th. The pageant starts at the corner of South Terrace and King William Street, and it makes its way along King William, Wakefield, Pultney, and Grenfell Street before heading down North Terrace to end just outside David Jones. This is where Santa ends his journey to take up residence at the Magic Cave. There are plenty of spots along the path for you to sit, but it if you want to be at the front of the crowd then you'll want to get everyone together early. 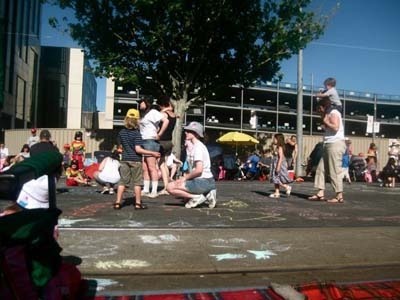 If you plan on getting to the pageant early, then make sure you bring along some chalk. A favourite pageant tradition is for all the kids to take to the road before the pageant starts. The road is already closed off, so there is no danger of cars, and children are allowed to decorate the stretch of road before the floats begin. This helps stop children from getting bored before the pageant starts. The floats are one of the biggest parts of the pageant, and they bring plenty of excitement to the kids before Santa is even seen. There is a huge range of floats including popular story book characters, colourful critters, and many princes and princesses for the kids. Popular ones include Nipper and Nibmle, the two rocking horses that also will call the Magic Cave home, where they are set up for the kids to ride. There are clowns, marching bands, and dancers that all join the floats, making it an entertaining day for the kids. Bring along a picnic blanket or rug, because it can get quite sore sitting on the road for all that time. You could even bring along some cushions to make sure the experience is very comfortable. Some people bring along chairs so that their experience is very comfortable, but it is always polite to not sit at the front in a chair so that you leave room for everyone to see. You won't want to lose your spot during the pageant, so it can be wise to pack up a picnic for you and the kids to enjoy. Make sure you also remember lots of water and sunblock, because it can get very hot in the November sun. This year the pageant committee will also be trying for a World Record, so get in early to participate. They are trying to get the largest gathering of people in red noses. Bring along any spare ones you may have, and be there ready for the people count at 8am. There will be people handing out some red noses on the day, in case you can't find any at home. 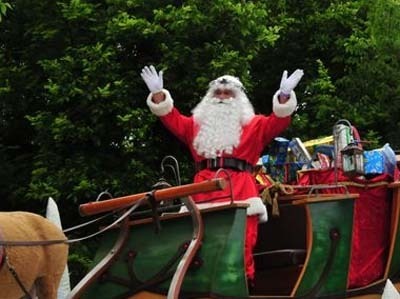 When the pageant is over you can either join the crowds that make way for the Magic Cave, and get the annual photo with santa, or you can head to one of the great parks or playgrounds along South Terrace and spend the day relaxing. Once the kids have seen Santa's slay make his way along the pageant route, he'll then be at the Magic Cave until Christmas, ready to hear all their Christmas wishes.